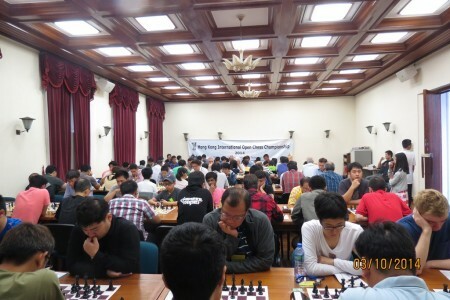 From 1-5 October the Hong Kong Chess Federation organised the Hong Kong International Open Chess Championship 2014 at the Convocation Room, Main Building room 218, The University of Hong Kong, Pok Fu Lam Road, Hong Kong. Co-organised by the Faculty of Science, The University of Hong Kong and HKU Student Union Board Games Club, the event was generously funded by the Kasparov Chess Foundation Asia-Pacific with an award of USD 20,000, the highest amount of prize money ever distributed in an event held in Hong Kong. 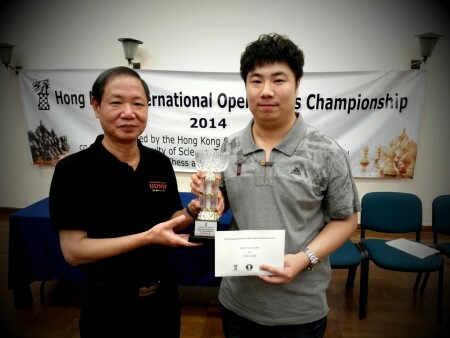 In the end top seeded GM Yu Ruiyuan took the title on tiebreak over fellow Chinese GM Zheng Chongsheng. 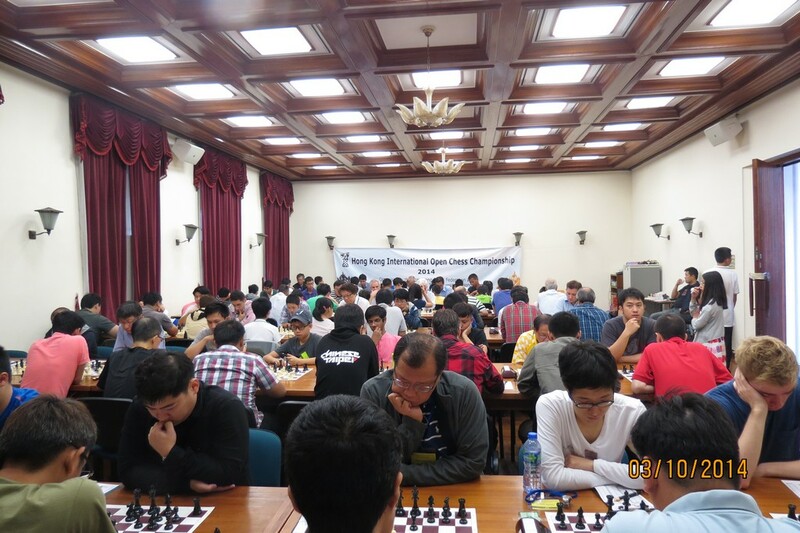 A total of 97 players from 17 federations participated, making it a truly international event. Among them there were 18 titled and 68 rated players, a new record. It was also the first time Hong Kong had Elo 2500+ GMs present in a competition and the 48 local players welcomed this opportunity to compete with these strong masters.